At the Law Offices of Paul A. Boronow, PC, we know that choosing to adopt is an exciting step in your family's life. It is also a complex decision, full of legal ramifications that require the dedicated counsel of an experienced Long Island NY family law attorney. If you are planning to adopt or are currently in-process but have questions, give our office a call today for a thorough review of your options. Our knowledgeable team has been helping families reach their adoption goals for the past decade and can do the same for you. Don’t let the process overwhelm you and get in the way of what is most important: providing a loving home for a child. Contact our Nassau County adoption lawyers at (516) 227-5353 for more information or to schedule a consultation. In regard to who chooses to adopt, the New York Office of Children and Family Services suggests: "There are no typical adoptive families." Who Is Eligible to Adopt in New York? Whether you are married, unmarried, single, recently divorced, or even a minor who has been emancipated by marriage - you can adopt. Having a criminal history doesn’t automatically count you out either. The courts will look at the nature of the crime and how long ago it was to determine your eligibility. That said, New York courts require adoptive parents to be qualified and to receive certification from a number of agencies. There are background checks, medical examinations, home studies, financial reviews, and other guidelines to be met before the requesting family can fully take on the responsibility. When a child is adopted by a stepparent, it is considered a stepparent adoption. In order for such an arrangement to be finalized, the biological parents must provide consent or be unable to do so for serious reasons. Stepparent adoptions can be quite emotional and require clear counsel to be navigated successfully. 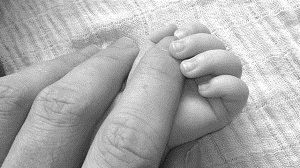 In a private placement adoption, the adopting parents enter into a private contract with the birth mother or parents. While stepping outside the traditional boundaries of an adoptive agency, private placement is still governed by New York State law. Some private placements occur when a parent is having problems and opts to leave the child in the care of a family member or close friend. The caregiver may want to officially adopt the child to keep him or her out of foster care. This gives the child familiarity and the biological parents may still be able to visit. In most of these cases, the parents willingly give the child to the relative, but there are some cases where the person seeking to adopt will have to get consent from the biological parents. Either way, you always have to serve the parents with a notice of proceedings, so they are aware that their child is being put up for adoption. Below are ways to determine if you will need to get consent before proceeding with the adoption. No consent - If mother has abandoned the child for at least six months and has not made any attempts to care for the child. No consent - If mother has a mental illness and cannot make sound decisions for herself. Consent - If the father was married to the mother at the time of the child’s birth. Consent - If the biological father has shown intent to be a father. Consent - If the father has contacted or financially provides for the child on a monthly basis. Consent - If the father was prevented from seeing the child. If the biological father has been absent from the child’s life, but has his name of the birth certificate, been named the father by the court, or is living with the mother at the time of the proceedings, then a notice of proceedings must be served to him, but his consent is not needed. There is a form given by the courts that the parents must sign and have notarized. They have 45 days to withdraw consent and halt adoption proceedings. Keep in mind that the courts will always do what is best for the welfare of the child. In the event of a re-adoption, the requesting parent(s) have already successfully adopted a child outside of New York and seek to have the adoption papers issued by the State. In many instances the adoption took place overseas and the adoption papers in question are in another language. Just as each family is unique, no two adoptions are ever the same. The Law Offices of Paul A. Boronow, PC, specialize in private placement adoptions. If you or someone you know is interested in this type of adoption, give us a call. We have over 20 years of experience with family law and we always explore the best legal option for our clients. To learn more, contact our offices at (516) 227-5353 for a confidential consultation with a dedicated family law attorney. Is Adoption the Right Choice for Your Family? Long Island NY Adoption Attorney Disclaimer: The legal information presented at this site should not be construed to be formal legal advice, nor the formation of a lawyer or attorney client relationship. Any results set forth herein are based upon the facts of that particular case and do not represent a promise or guarantee. Please contact an attorney for a consultation on your particular legal matter. This web site is not intended to solicit clients for matters outside of the state of New York.